With the unprecedented success of last year’s festival, Starboard boats are already looking forward to the next event. With last year’s light festival seeing us welcome over 2000 guests onto our brand-new boat, we are hoping to see many of these guests return and welcome aboard many more new faces to enjoy this fantastic annual festival of some of the world’s finest contemporary art against the backdrop of Amsterdam’s beautiful and historic 17th century canal belt. This year’s festival will run from the end of November all the way through to mid-January. In these dark winter months, the brightly lit instillations lining the beautiful canals are certainly a cheering sight! Setting sail from the Rijksmuseum’s dock, the route goes through some of the most picturesque and historic waterways of the city centre. From the Leidsegracht, the boats will sail along the historic Herengracht – considered as the most important canal in the city due to the role of its inhabitants (the city’s wealthiest merchants and most influential mayors and regents) in the Dutch Golden Age. Sailing on through there, we shall go along the Reguliersgracht and enjoy the sight of the famous ‘7 bridges’. This is the famous canal scene often captured by photographers and with the installations of the Amsterdam Light Festival, this sight really comes to life and is a stunningly beautiful spectacle. After this, we join the river Amstel (after which Amsterdam is named – ‘Amstel Dam’) before sailing under the famous Magere Brug (the famous and oft-photographed wooden drawbridge known as ‘skinny bridge’ in English). After passing under this beautifully lit bridge, we shall sail on past the Heineken Experience and back to the Rijksmuseum dock, where a great view of the Rijksmuseum, one of Amsterdam’s most beautiful buildings, can be seen in all its glory! 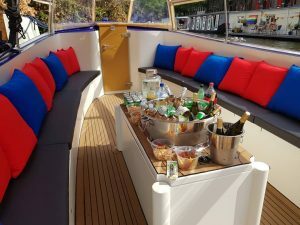 As before, this year’s boat cruise will be guided by our brilliant local skippers and hosts, and drinks will be served throughout the duration of this fun and interactive cruise through the city centre’s canals. Our canal cruises will be setting sail every 30 minutes from the Rijksmuseum dock, running 7 days per week, and will last for approximately one hour, during which we will take in all the installations. We hope you are looking forward to this year’s event as much as we are and look forward to welcoming you aboard our boat! Public tickets – can be cancelled free of charge until 2 days before the booking. Private tickets – can be cancelled free of charge until one week before the booking. 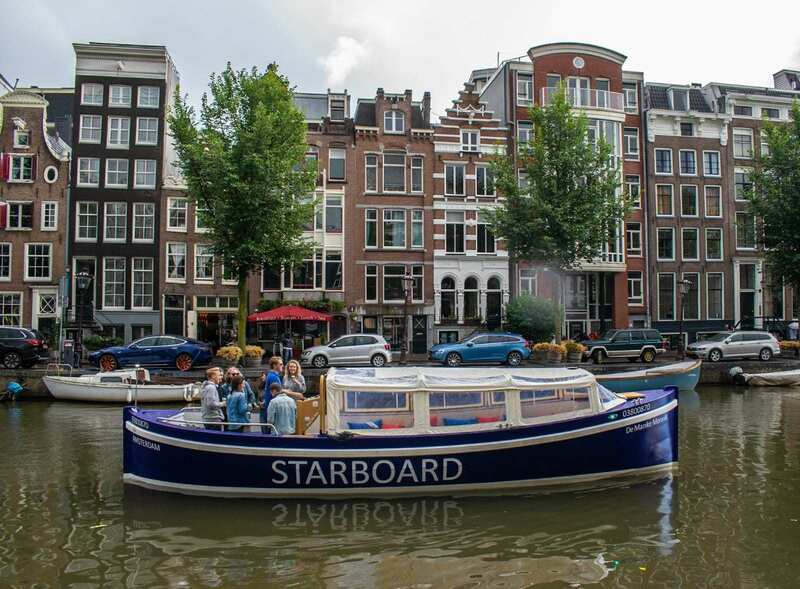 Enjoy the festival from the Amsterdam canals and let Starboard Boats guide you through this wonderful world of art. Experience the festival first-class in our modern, comfortable and heated boat provided with private bathroom. During the 75-minute tour, our educated guide will elaborate on the artworks on the quay and in the canals. 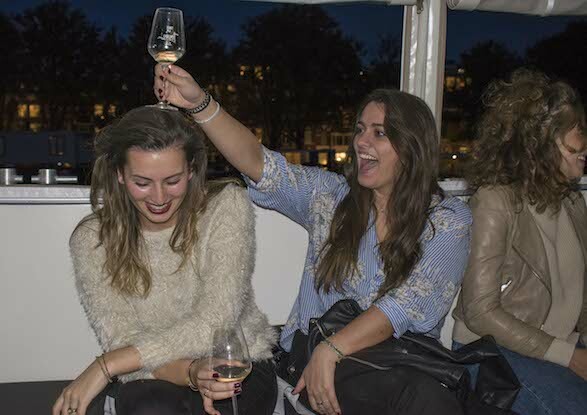 With room for 25 people and optional drinks and bites, we provide an intimate cruise that will be the highlight of your trip to Amsterdam. The tours will depart daily from Kamperbrug at 17:00, 18:15, 19:45 and 21:00. One tour takes 75 minutes. 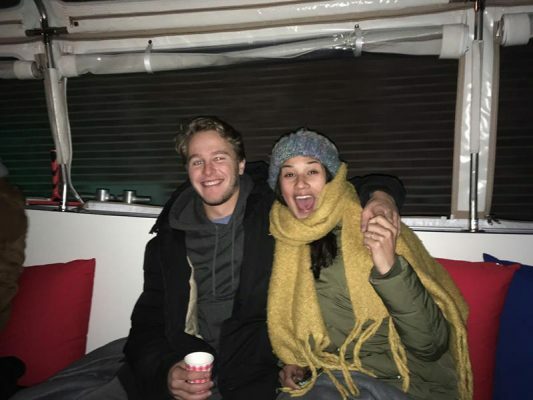 Tickets for our public ALF cruises only cost €19.95 p.p for adults and €12 p.p for children including Amsterdam Light Festival fee + 1 free drink (glühwein/tea). Get your tickets for this seventh edition of the Amsterdam Light Festival quick since seating is limited! Note: If you bring your own drinks, you will be charged 50€.